Everton have appointed Ronald Koeman as their new manager. The 53-year-old was Farhad Moshiri‘s first choice to replace Roberto Martinez and Everton have today agreed a deal with Southampton to make Ronald Koeman their new manager. Everton spoke with representatives of the Sevilla manager, Unai Emery, while Frank de Boer, Manuel Pellegrini and David Moyes were also under consideration. However, Koeman became the clear frontrunner and, after guiding Southampton to their best Premier League finish in successive seasons. His brother, Erwin, has been appointed as assistant manager and the pair will be joined by Jan Kluitenberg, who takes up the role of assistant first team coach/physical coach. Kluitenberg worked with Koeman at Vitesse Arnhem, Benfica, AZ Alkmaar, Feyenoord and Southampton. Koeman’s honours as a player include winning the 1988 European Championship with the Dutch national team, the European Cup – now the Champions League – with PSV Eindhoven in 1988 and Barcelona in 1992 as well as domestic league titles in the Netherlands and Spain. He played 763 games for club and country, scoring 253 goals, including the winner for Barcelona against Sampdoria in the 1992 European Cup final at Wembley. 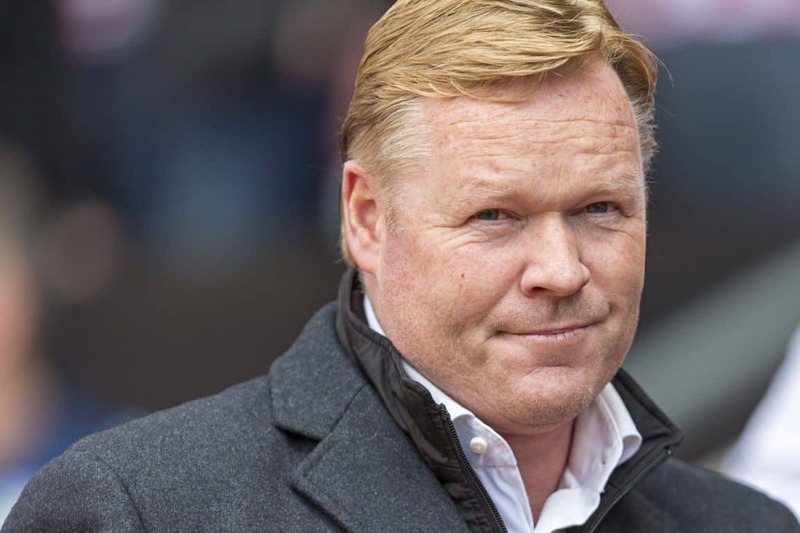 His managerial career has taken in spells at Vitesse, Ajax, Benfica, PSV, Valencia, AZ Alkmaar, Feyenoord, before he joined Southampton in June 2014.